City of Ely Perspective, in collaboration with The King’s School, Ely, has just erected a new commemorative plaque on the Old Bishop’s Palace in Ely which commemorates the 32 recusant prisoners who were incarcerated there on the orders of Elizabeth I’s privy council between 1588 and 1597. They included such prominent figures as Sir Thomas Tresham, Edward Throckmorton and William Catesby, whom the government suspected of sympathy for the Spanish Armada. Earlier, between 1577 and 1580 John Feckenham, the last abbot of Westminster Abbey, was also incarcerated in the Palace. 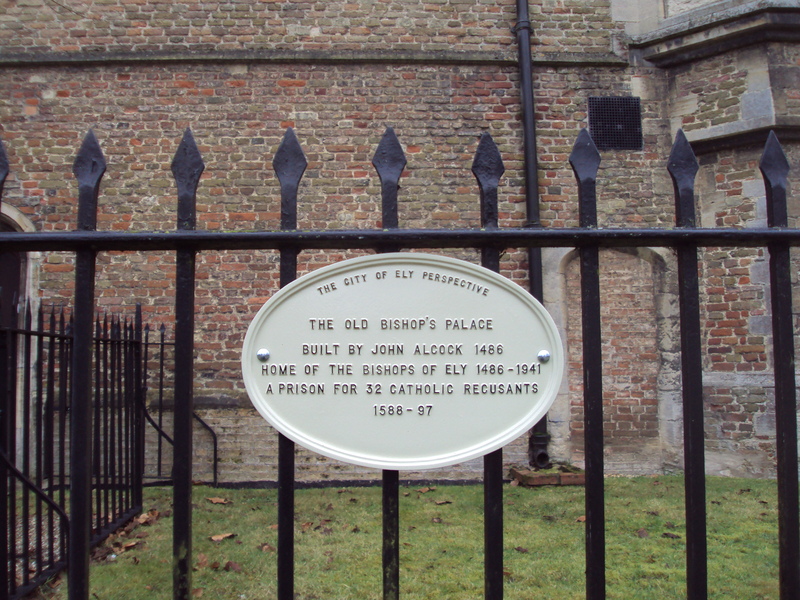 The plaque is the result of my research on the Palace, which resulted in an article published in Recusant History (now British Catholic History) in 2014 and brought to light for the first time the importance of the Bishop’s Palace in Ely as a prison for lay recusants alongside Wisbech Castle’s role as a prison for captured Catholic priests. Now, for the first time, Ely’s Catholic prisoners are receiving some public recognition. Check out their Roll of Honour-like listing in a wall hanging at Coughton Court,an extraordinary and I think unpublished document. 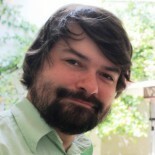 This entry was posted on February 4, 2017 by jacobite.